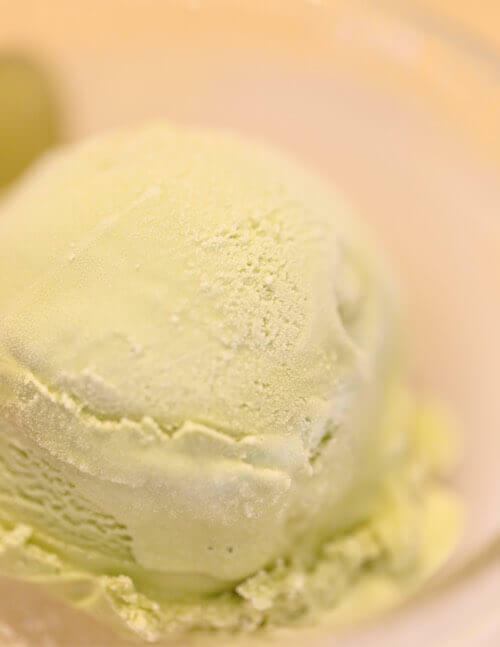 Use these green tea ice cream recipes from the Victorian Era to make a homemade ice cream with a distinctive green tea flavor. It's a frozen treat that's delicious anytime. The all-natural flavor of the homemade ice cream makes it healthy and refreshing. As a bonus, there's also two old fashioned recipes from Grandma's collection for making tea flavored ice creams. Simply add your favorite blend for flavoring, or a green tea if preferred, and enjoy. Custard Ice Cream Mixture: One quart of cream, six eggs, and twelve ounces of powdered loaf sugar; break the eggs into a stewpan, and whisk them together; add the cream and sugar and custard flavoring; when well mixed, place it on the fire, and continue stirring it from the bottom with the whisk, to prevent burning, until it gets thick; take it from the fire, continue to stir it for a few minutes, and pass it through a sieve. If the custard be suffered to boil, it will curdle. Stir again and freeze. Custard Flavoring: Two ounces of the best green tea; put the tea into a cup, and pour on it a little cold water in which has been dissolved a small portion of carbonate of soda, about as much as may be placed on a fourpenny piece [about a pinch or 1/16th teaspoon]; let it remain for an hour or two, then add a little boiling water, sufficient in the whole to make a very strong infusion; or the boiling water may be dispensed with, adding more cold water in proportion, and letting it soak longer, when a superior infusion will be obtained; strain it, and add to the cream and eggs. Steep two ounces of the best mixed tea in three pints of boiling cream. In the meantime, stir three-quarters of a pound of pulverized sugar and the yolks of twelve eggs or more until thick; add gradually to the cream, boil up at once, strain through a hair sieve, and stir until cold. Freeze in ice cream freezer. Pour over four tablespoons of Old Hyson tea (or your favorite green brand), a pint of cream, scald in a custard kettle, or by placing the dish containing it in a kettle of boiling water, remove from fire, and let stand five minutes; strain it into a pint of cold cream; put on to scald again, and when hot, mix with it four eggs and three-fourths pound sugar, well beaten together; let cool and freeze. —Miss A. C. L., Pittsfield, Mass.